Why do people go to the hairdresser? On March 17, 1943 two girls from the partisan regiment named by Thirteen under the guise of local residents arrived to the occupied Smolensk city. It was Zina Namatēvs with Lisa Agilyarova. In order to carry out the tasks of partisan groups, it was necessary to contact with the young clandestine groups and to create the secret and safe apartment. 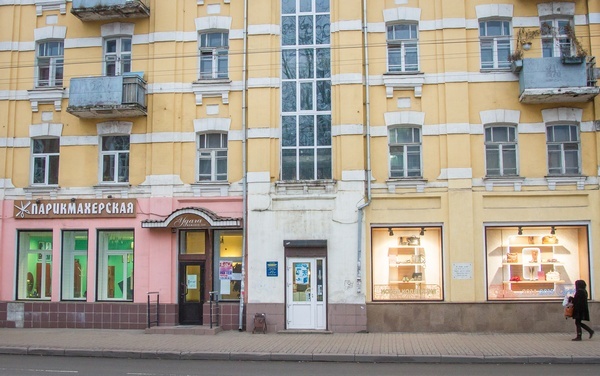 The hairdressing saloon down the Krupskaya street (now Tenishev) the house № 4, became such an apartment. Lisa Agilyarova connected with Anya Demchenkova, who worked there. Anya was given a password. When the messenger came to the hairdressing saloon, he sat down at a chair, Anya worked at, and asked: «Can I dye my eyes here?» — and she replied: «You have blue ones anyway.» The tasks were always performed by girls quickly, accurately and efficiently, being in a strict secret. Conspiracy was essential for clandestine activity. It was required to have a special courage and fearlessness to conduct a clandestine work, especially because the Germans killed the members of the clandestineespecially (they were tortured and abused severely waiting for the death). The girls came to the hairdressing saloon not to change their hairstyle — as the time has showed, but to change the life of the whole country and the fate of its future generations. The house, where in 1941 — 1943 in Smolensk there was members of the clandestinesafe appartmeny, on the Tenisheva street, h. 4 is an object of cultural heritage of regional significance. 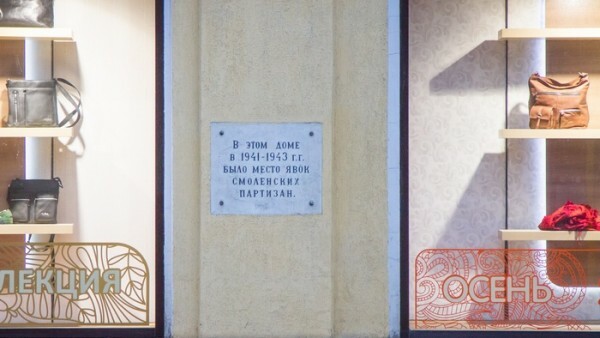 On the building there is a memorial plaque with the text: «In this house in 1941-43 there was a place of meeting Smolensk partisans». The hairdressing saloon works till the present day, too.